This review originally appeared in the finals of the "So You Think You Can Review?" tournament that was held by the Large Association of Movie Blogs (The LAMB) during the past few months. I made it all the way to the end and actually won the tournament, and this review put me over the top. The films were chosen randomly and covered a wide array of genres and time periods. I had a blast participating in this tournament. My final assignment was the tricky prospect of reviewing Napoleon Dynamite. Every once in a while, a movie comes along that a modest but passionate group of viewers identifies as their own. These are films with a small budget that draw unexpected crowds and spread like wildfire through word of mouth. A prime example is Napoleon Dynamite, the surprising 2004 debut from the unconventional Jared Hess. 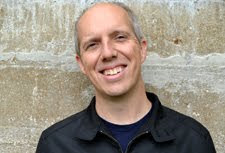 The writer/director hails from Idaho and brings a much-different perspective to the screen. His offbeat humor isn’t for everyone, but Hess found the right formula with his first feature. The fact that an animated TV series appeared eight years later with the same characters is a testament to its staying power. It’s an awkward story that doesn’t work for everyone, yet it’s found a devoted audience that remains strong today. The key factor in the success was the casting of the unknown Jon Heder in the title role. The gangly 26-year-old brought endearing qualities to a character with little social skills. Napoleon is a high-school student who’s so wrapped up in his own idiosyncratic pursuits that he barely realizes his place apart from most classmates. His regular outfit is a t-shirt with an animal on it tucked into jeans, with moon boots rounding out the ensemble. He runs from conflict with his arms at his sides and mouth breathes like a champ. The cool kids might laugh and bully Napoleon, but he doesn’t seem too concerned with their behavior. He’s a grumpy guy who lives with his grandmother and even odder brother Kip (Aaron Ruell) at a house with a pet llama. While the behavior is ridiculous, it retains a down-to-earth quality that keeps the story realistic and pretty mundane. Hess’ comedy focuses on uncomfortable scenes that rarely follow the expected formula. There’s also an inherent sadness to his characters. The main example here is Napoleon’s Uncle Rico (Jon Gries), who’s obsessed with a football game from 30 years earlier. If only he’d gotten the chance to lead the team to the state title, his whole life would be different. His slimy attempts to sell dingy items to gullible homeowners are played for comedy, but we pity him just as much. Rico spends much of his time recording a silly video where he shows off his football moves. It isn’t clear who the audience is for this footage, which is described by Napoleon as the worst video he’s ever seen. Rico even buys a “time machine” online to get back to 1982, which leads to one of the movie’s funnier gags. Like the characters in Bruce Springsteen’s “Glory Days”, he can’t get over his lost dreams of his youth. Another interesting element is the 1980s style that seems out of place in a modern-day movie. Napoleon uses a Walkman with cassettes, lives in a retro house with wood paneling, and plays tapes in a VCR. The soundtrack includes “Time After Time” by Cyndi Lauper, “The Promise” by When in Rome, and even the theme from the A-Team. The humor is different, but there’s plenty of John Hughes in Napoleon Dynamite. The ‘80s material feels kitschy yet adds to the unexpected charm. What’s interesting is that it lives in the same world where popular girls perform a choreographed dance to the Backstreet Boys “Larger than Life”. This is also a place where the Internet exists, and Napoleon’s brother Kip meets his soul-mate Lafawnduh (Shondrella Avery) there. The mishmash of time periods is tricky and doesn’t always work, but there’s enough appeal to offset any tonal issues. Along for the ride are the oafish Dietrich Bader as Rex and the always-charming Tina Majorino as Deb. 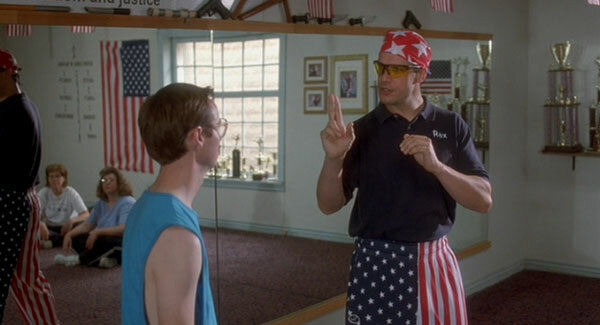 He plays a martial-arts instructor of “Rex Kwon Do” who sports ridiculous American flag pants. You do not want to get a roundhouse kick to the face from those bad boys. She’s the shy girl down the street who’s the perfect match for Napoleon. Deb runs a glamour shots business to raise money for college and is an outsider just like him. There are some misunderstandings and false starts, but there’s always a sense they’ll get together in the end. The other main supporting character is Napoleon’s friend Pedro (Efren Ramirez), who is strangely monotonous but decides to run for class president. He seems to have little chance against the class bombshell Summer Wheatley (Haylie Duff), but you never know when you have friends like Napoleon. 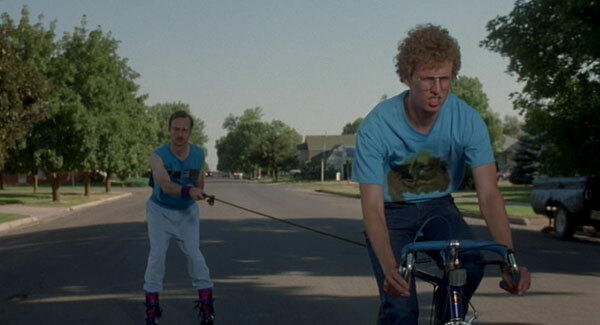 Napoleon Dynamite grossed $46 million at the box office on a minimal budget of just $400,000. That’s a stunning achievement and immediately put Hess and Heder on the map. Neither has lived up to that promise, however. It raises the question of whether this was just one of those rare cases of lightning in a bottle. Hess’ other two films are the mediocre Nacho Libre and the painful Gentleman Broncos. Both had a similar tone, but they became either too broad or awkward without the same charm. Hess worked with talented actors like Jack Black and Jemaine Clement, but neither could help much. In Heder’s case, he’s had plenty of gigs during the past eight years, but none have reached this level. It might be impossible for him to find another role in this sphere. He can’t play a conventional leading man, and there are only so many goofy parts to play in comedies each year. My fandom for this film has decreased a bit since I caught it in the theaters back in 2004, but there’s still plenty to enjoy on repeat viewings. The style is so down-to-earth that it’s an easy watch, especially when you consider the 82-minute running time. The classic scenes like Napoleon’s dance on stage to Jamiroquai remain hilarious. On closer inspection, moments that don’t work stand out because of the languid pace. A lot of the Pedro material falters and doesn’t match the fun of the main story. The other students are also so razor-thin that we don’t seem them as actual threats to Napoleon’s greatness. He may be antisocial, but at least he doesn’t keep repeating the same over-the-top smiles. Heder’s grand performance and plenty of fun supporting parts make up for any sloppier portions. It’s an original debut that can succeed if you’re willing to approach it with the right mindset. I've found much less to enjoy in the film on repeat viewings, but I liked it when I first saw it. Now, apart from Napoleon's dance on stage, I can't even bear to watch it. The jokes just don't work after a few viewings. Josh, I can't really argue with your response. I still enjoyed it this time, but my reaction isn't nearly as glowing as it was back when it came out. If I saw it fresh now, my opinion might be lower too. It was interesting checking it out after a while. I thought it was a good movie at first, but now it just makes me super-uncomfortable. That's understandable. I still liked it, but it didn't blow me away at the same level as it did when I saw it originally.